What is a personal brand? It’s what makes you, you. It’s what people think of when they hear your name. So why would you want to develop your personal brand? So you can help decide what people think about when your name comes up in conversation. You can shape yourself in peoples’ minds. Who wouldn’t want to do that? Here are some important things to know about personal branding. Try things on. You don’t have to know everything about yourself and your brand right away. Test some things out, try some things on to see what works for you. Mock up some different business cards and test out your tag lines on a friends to see how they feel. Then you can find something that feels like you. Express yourself online. A great way to show off your personal brand is with social media. If you don’t already have one, create Facebook, Twitter, and LinkedIn accounts. These are platforms meant to broadcast yourself to the world. Create a website for yourself and link your social media sites to the homepage. That way when people search you (and they will) you can control what they see. Find your strengths. You know what you’re good at, in business and personal settings. Write about it. Start a personal blog about things you’re knowledgable of and things you’re passionate about. It might even be fun. Share personal experiences and business insights and maybe even gain some business networks from it. Network. This is a no brainer. Connect with everyone you can. Whether this is on social media or in person, it’s important to make your personal network as expansive as possible. You’ve worked hard establishing your brand, so show it off! Be consistent. Make sure your brand is consistent across all platforms. From Twitter to your blog to your website to your business cards. Make conscious effort to aline all these aspects to blend seamlessly into a brand. Be able to talk confidently about your brand and know what it means to be you. It might be intimidating trying to figure out who you are and how to tell the world. But start with little steps and eventually build your personal brand into something you can be proud of. You do this everyday, all the time. You’re always talking to people; when you order your coffee and when you see the mailman. You talk when you call your sister and you thank your babysitter. But most of all you talk when you’re at work. I know what you’re thinking: practice makes perfect so I’m all set. That’s not always the case. Plus there’s always room for improvement! Here are some ways to master the art of conversation. Start small. Don’t rush into a conversation with serious, heavy topics. Stick with the weather or another non-threatening topic. But don’t make it too obvious, small talk can be annoying. The customer is always right. When you’re talking to someone, try not to correct them. Even if you mean it in the best way, they’ll think you’re rude. It’s best to let it go. Ask questions. Most people enjoy talking about themselves, so ask questions! People love to talk about themselves, so let them! They’ll walk away feeling like they had a great conversation with you. Pay attention. Actually listen to what the other person is saying. This may sound obvious, but if you get caught not listening you look bad. Put your phone away and really concentrate. Make a connection. Relate to the other person by sharing an experience or feeling. This makes the conversation meaningful and you more likable. Find some common ground to bring you together. What you’re not saying. Be aware of your body language. Looking away or at your watch makes people feel like you’re not really listening. Use your hands when you talk to show enthusiasm instead of crossing your arms. You look more friendly this way. Know when it’s over. Listen for cues (or use them yourself!) to know when the conversation is coming to an end. Phrases like “I should let you go” or “It was great to see you” signal it’s time to get out of there. Say your goodbyes and get on your way. With all the technology we’re used to, it can be hard to remember how to have a good conversation. 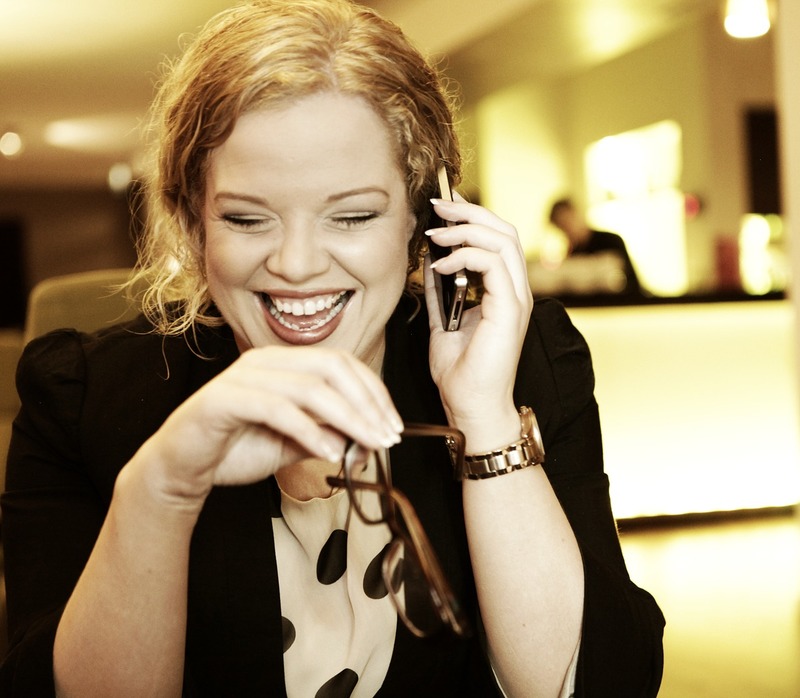 Hopefully these tips will help you on your way to mastering the art of conversation! What are your tips for mastering the art of conversation? What people say about you and your business is important. You want people talking about you (and how great you are) to all their friends, families, and coworkers. These people are your potential clients, and before you even connect with them, you want to come off in a positive light. 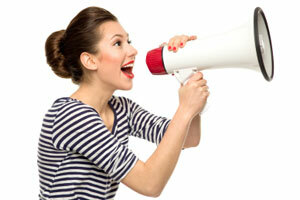 This is where word of mouth marketing comes into play. People trust their friends (and even strangers with the ability to write a review) to help them choose where they take their business. You want your company to be the first on their mind when they are giving suggestions to their friends. Word of mouth marketing can be tricky, mostly because it’s hard to control. There are ways, however, that you can help decide what people say about you and your business to their networks. Make your current customers feel special. If you want people to come back with their friends, make people feel good about using your business. Make them feel like they are apart of something that everyone should be included in. Social Media is your friend. Posting about your business on the countless social media sites available is a great way to get people talking about your business. Make posts sharable so that more potential clients can see what you’re all about. Be someone they can trust. Current customers won’t feel comfortable recommending your business if you aren’t honest. Great customer service and a great product or service can get you far. Word of mouth marketing can be a great way to market your business, if what people are saying about you is positive. Make sure clients have a good experience with you and your business so they spread the word about your business in a positive way! What have you done to change what people say about your business?